Wrist watches of the famous brand Harry Winston have always been different by their original design. These unique models were first released in 1989. A that time the brand Harry Winston was a small jewelry workshop, which later expanded its activities. Jewelers of the company managed to create an exclusive watch that can be called piece of art. One of such models is the new Harry Winston Opus – a watch without hands, a real masterpiece. This gorgeous watch Harry Winston Opus was presented at the annual exhibition BaselWorld 2012. Harry Winston – is a skeleton watch, watch with tourbillon and a variety of models, as well as unparalleled jewelry. Perhaps, Harry Winston is now one of the few companies that have managed so successfully combine jewelry and watch making. 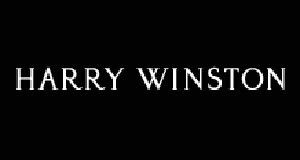 Harry Winston watches are indicators of the style and success. One of the latest innovations of the brand – is a elegant watch Midnight Skeleton from the collection Midnight, presented in a round case made of 18-carat white (Ref. 450/MAS42WL.W) or rose gold (Ref. 450/MAS42RL.W). Case diameter is 42 mm, thickness - 7.5 mm. The dial of the model is a sceletonized mechanism "hiding" under the sapphire crystal. We can say that the new model is no dial and hour markers. Indication of hours and minutes is made by two central hands. Midnight Skeleton watch is water resistant up to 30 meters. Case back made of sapphire glass, allows you to enjoy the work of automatic mechanism with micro rotor. The caliber is perfectly finished and decorated, assembled with 29 rubies, it has a frequency of 21,600 vibrations per hour, 42-hour power reserve, the functions of hours and minutes. The watch Midnight Skeleton comes on black leather strap with buckle made of 18-carat white or pink gold.